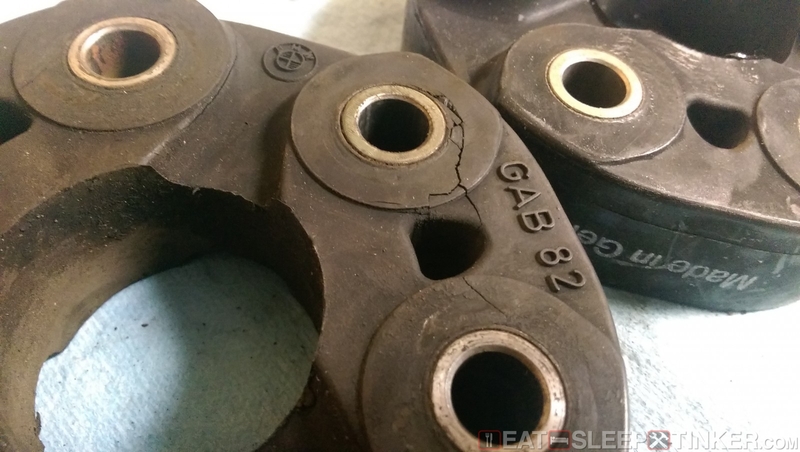 Eat, Sleep, Tinker.Giubo (aka Guibo, aka Flex Disc) Change - Eat, Sleep, Tinker. During my M3 Sedan refresh I skipped one critical step: replacing the giubo (often misspelled as guibo.) For some reason I had in my mind that it had been recently been replaced by the previous owner. Here’s a tip: if you already have the exhaust and driveshaft out, go ahead and replace the giubo! Fast forward to last week, where I’m giving the car a good inspection prior to a track weekend at Road Atlanta. I had the car up on jack-stands to check on several things. 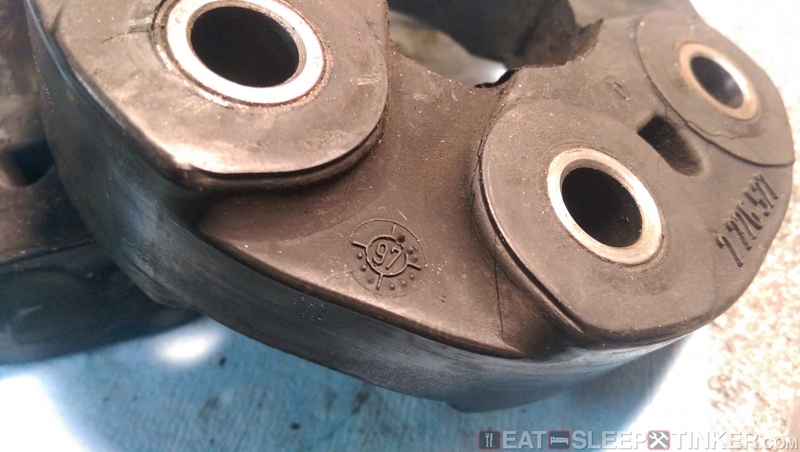 One known issue was that the transmission tunnel sound insulation material was sagging badly and rubbing on the giubo. 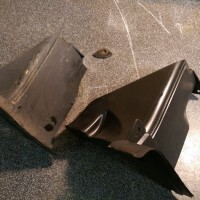 I had previously attempted to solve this issue by hot-gluing the mat to the sheet metal of the tunnel. This was after trying some HVAC aluminum tape, which simply didn’t stick to the fabric material of the insulation. One problem: I seriously underestimated the amount of heat in the area, resulting in the hot glue simply melting again and dripping off. 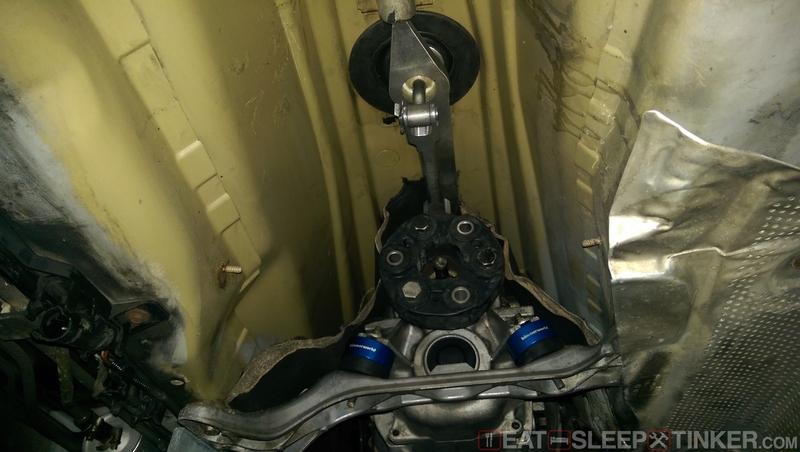 Unfortunately there is no way to easily replace this insulation without removing the transmission, as it goes forward up into the engine bay. I’ll save that work for when I eventually have to do a clutch replacement. For the time being I knew I had to do something to stop the interference, so I simply cut out the offending material. While I was in the area removing this insulation, I took a good look at the giubo. 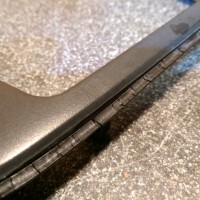 It had been rubbing on the insulation for some time, wearing a hole in the material and polishing the edge of the rubber giubo. The giubo was still obviously in one piece but was looking a little worn. I went back to the detailed Excel spreadsheet maintenance record the previous owner had provided me, which covered all work back to its first oil change at the dealership. I couldn’t find anywhere that showed the giubo had ever been replaced…. hmmm. So I ordered up a new one, along with six new lock nuts. Removing the giubo is pretty straight forward and there are plenty of DIY’s out there (as well as the Bentley manual) that cover all the steps. So I’ll just show you the results. Yep, that’s no good. Now you can easily get away with some superficial cracks, but these were all the way through. When flexing the disc with both hands, I could really see how bad it was. Then I checked the molded in manufactured date and was amazed to find it was original, from 1997! Now that’s pretty impressive to see a 17 year old rubber part last this long, especially given how prone these giubos are to giving up the ghost. I got lucky here, and good thing I replaced it before an upcoming track day. I certainly wouldn’t want to try to replace it in a hot and humid paddock. 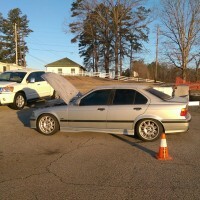 Owner and President of Morehead Speed Works, a full service performance and race shop specializing in road raced BMWs. Oh no, not a CEL!